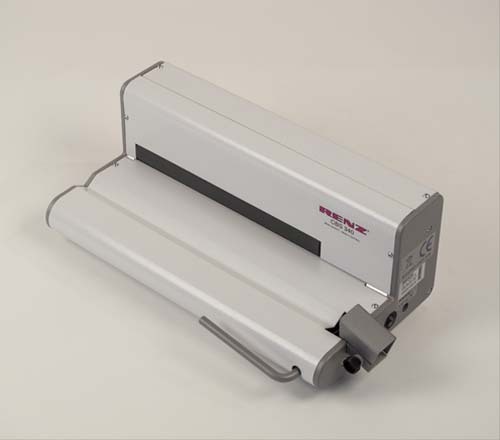 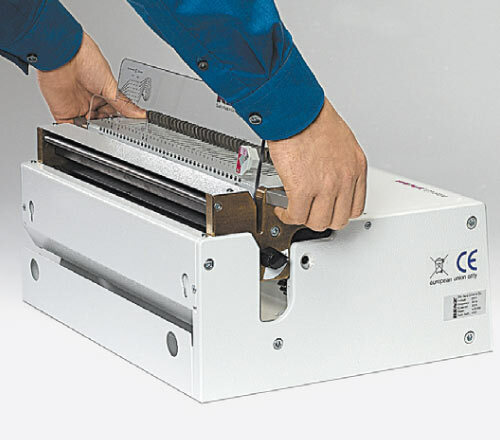 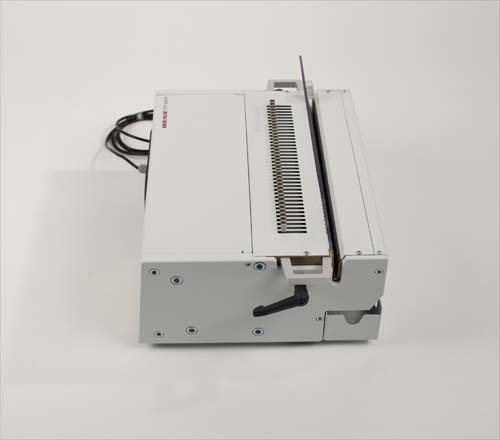 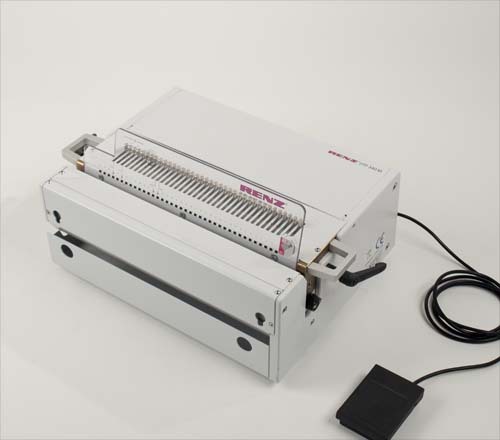 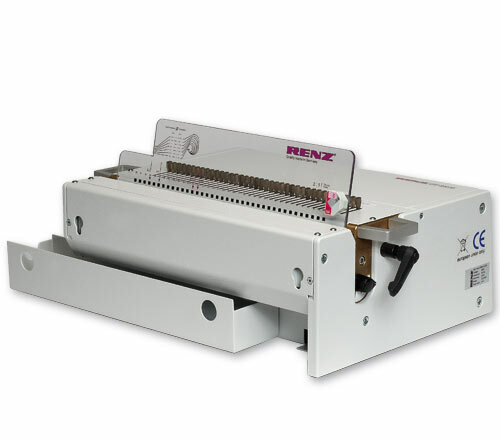 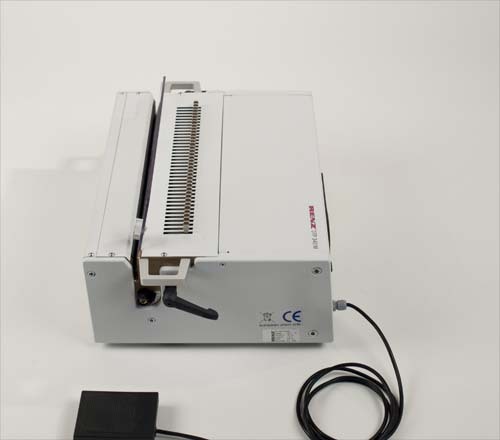 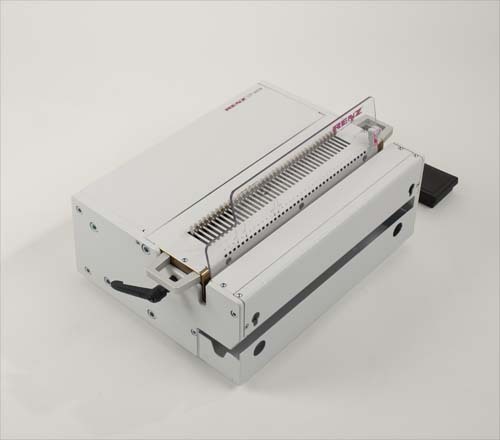 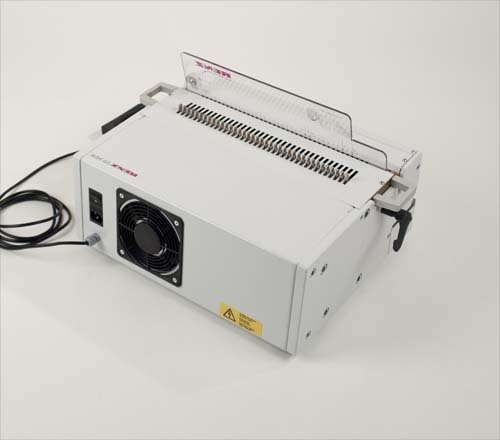 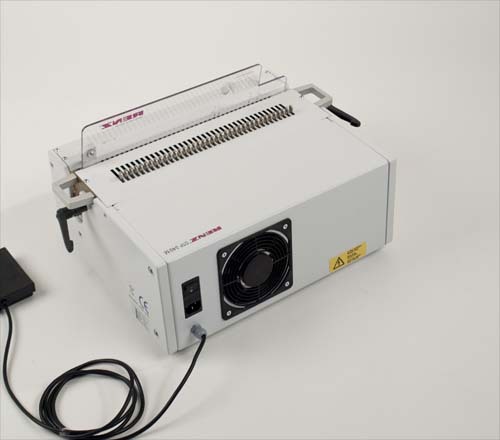 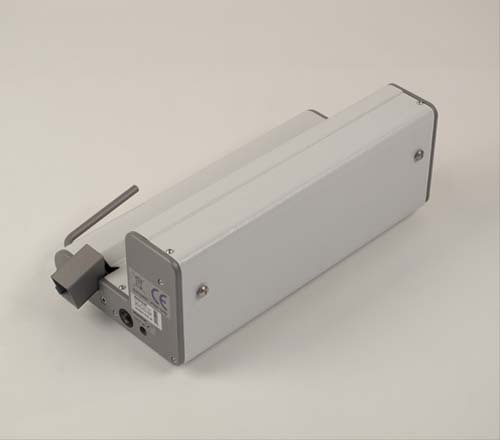 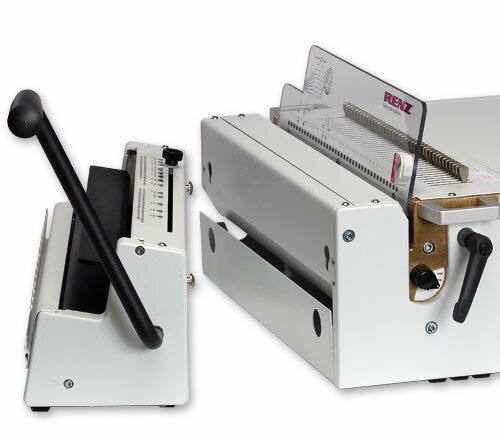 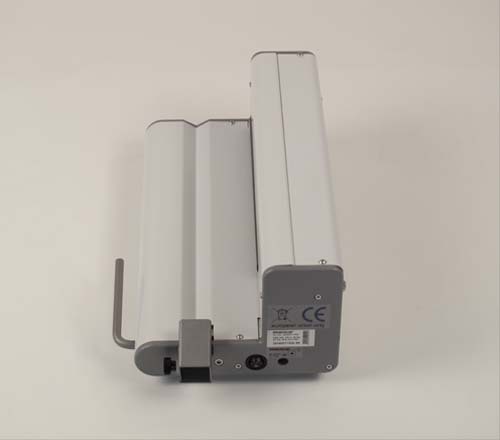 The Renz CBS 340 is an electric spiral inserting machine with an integrated manual cutting and crimping unit. 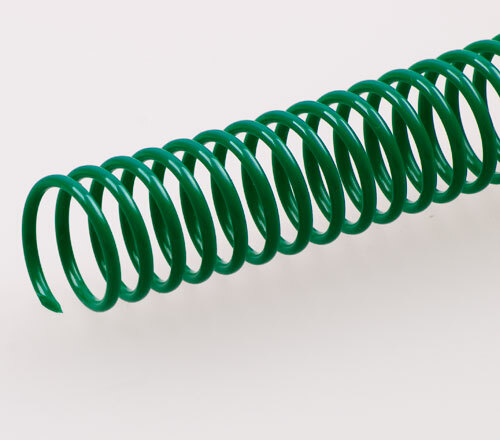 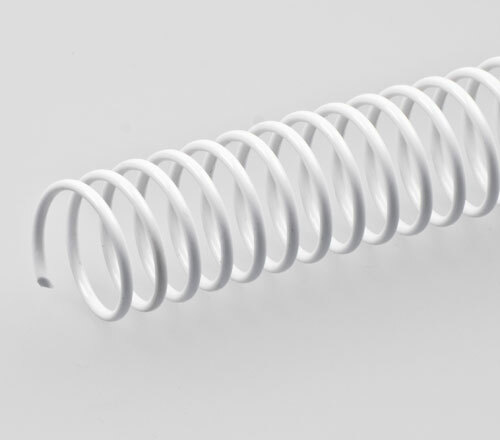 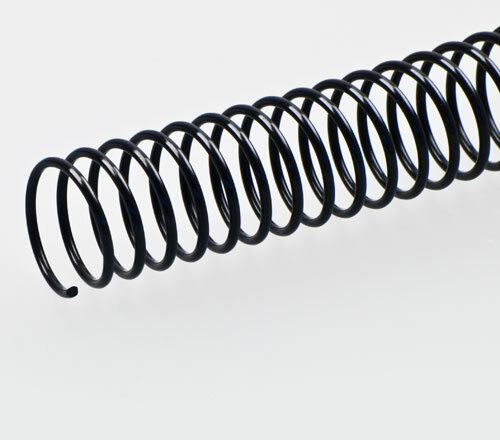 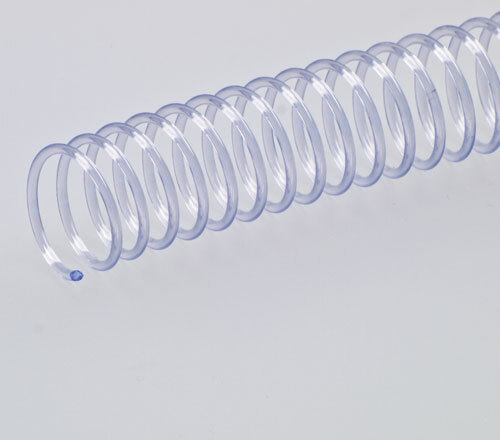 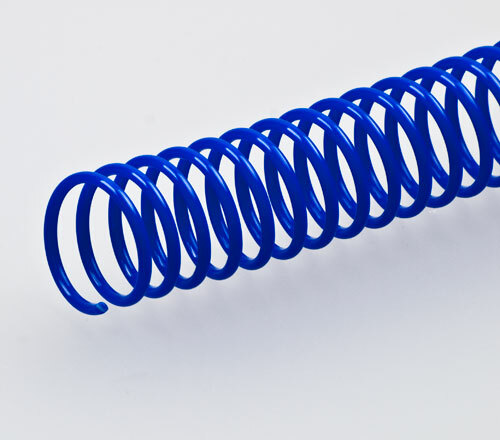 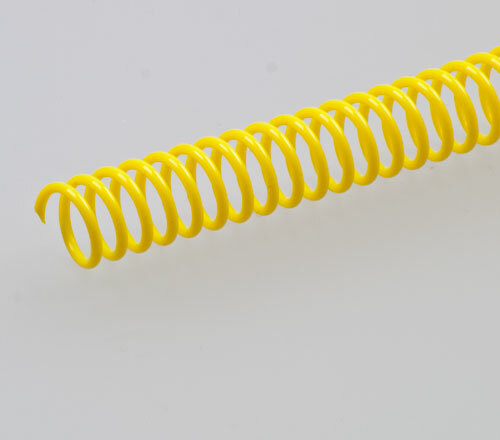 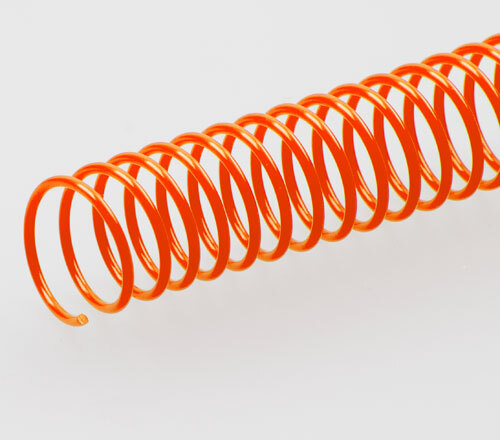 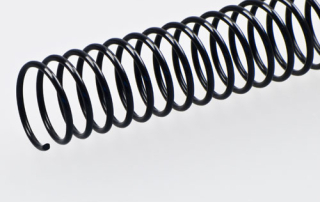 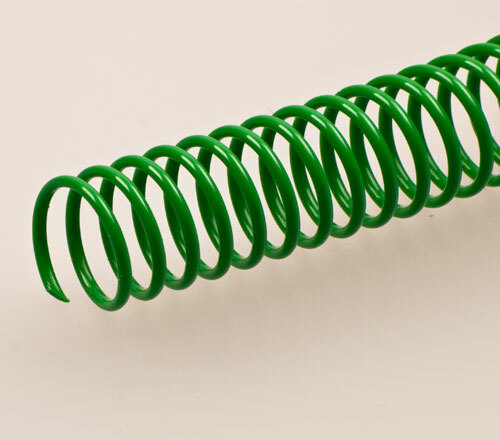 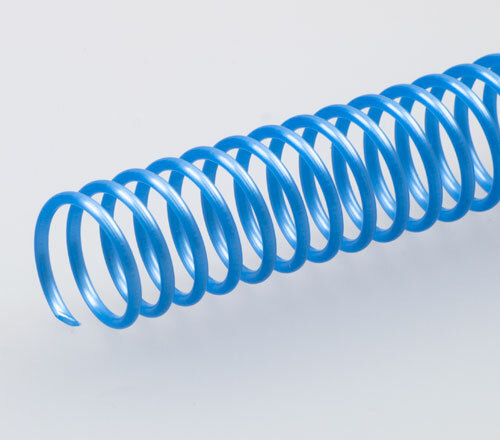 For plastic and wire spirals up to ø 20 mm. 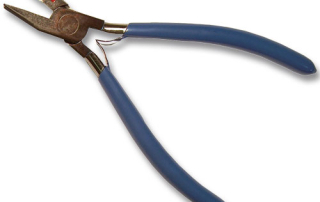 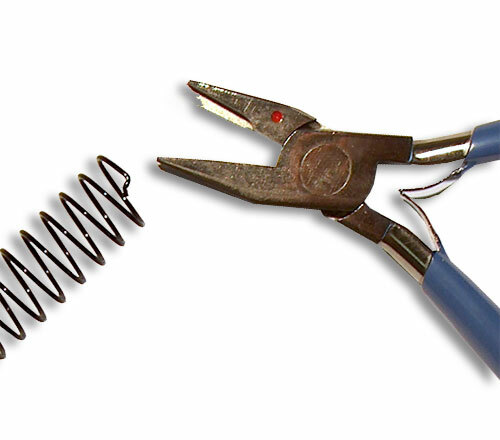 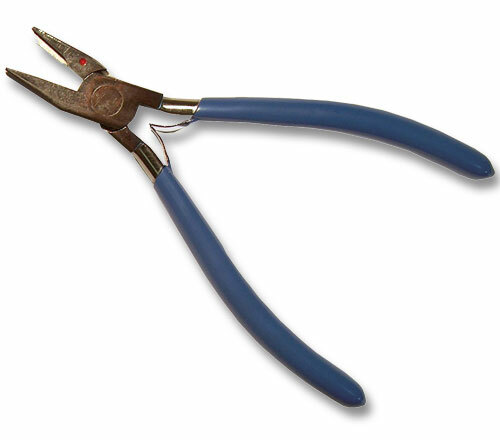 Manual cutting and crimping of plastic spirals up to ø 20 mm, not possible for wire spirals, wire spirals require the SC-pliers. 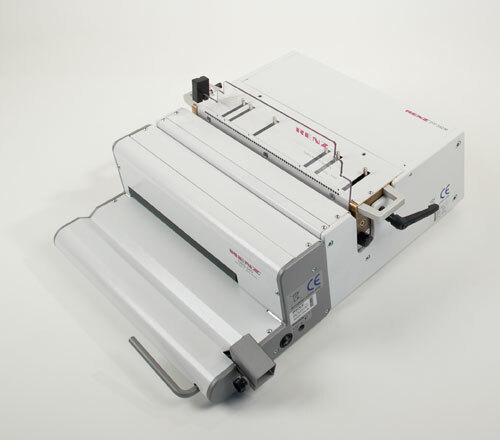 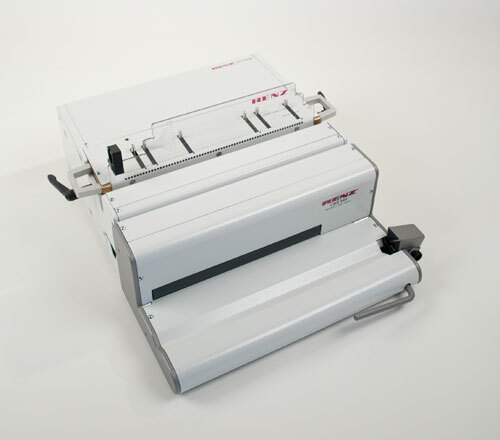 Together with the desktop punch DTP 340 M the CBS 340 becomes an efficient and space-saving punching and binding system. 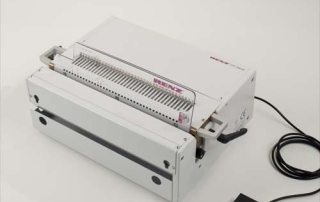 Can also be used as standalone unit. 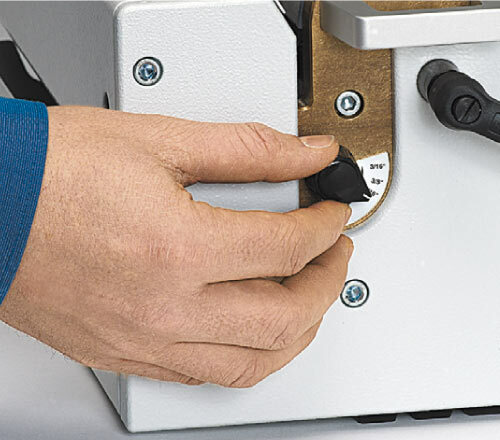 No module holding device required. 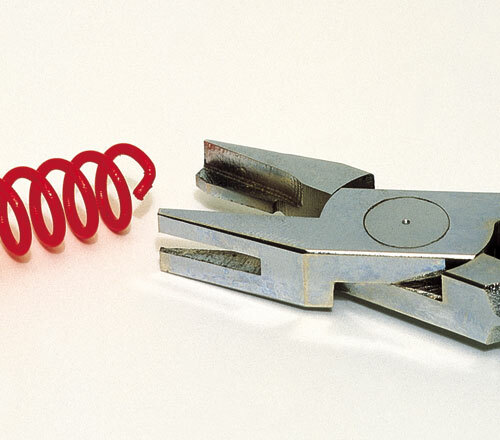 FINISHING with the FINEST in Chicago!